I am thinking about purchasing some new dining chairs. 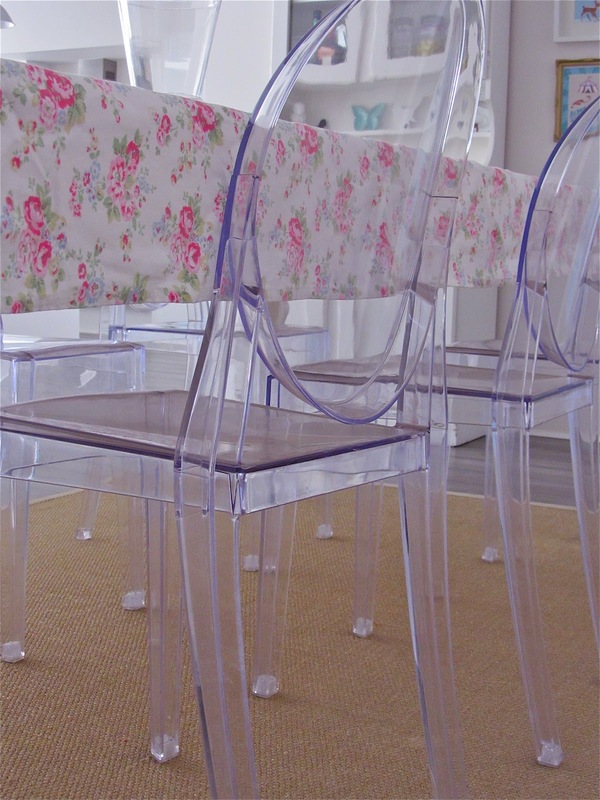 We currently have replica Victoria Ghost Chairs (Holly Chairs)from Lettini's online store around our dining table. 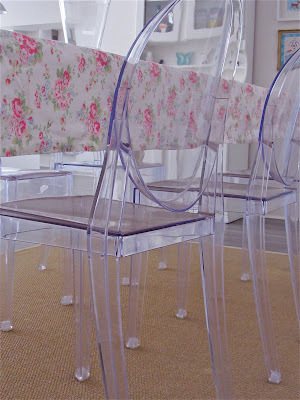 I love these chairs because they help create a sense of space and light in my dining room. But, now that my little girl is three and we love having her little friends over to visit - little hands seem to make these ghost chairs very dirty! Bless them! Yes - I am a bit of a clean freak so I am forever cleaning the chairs. 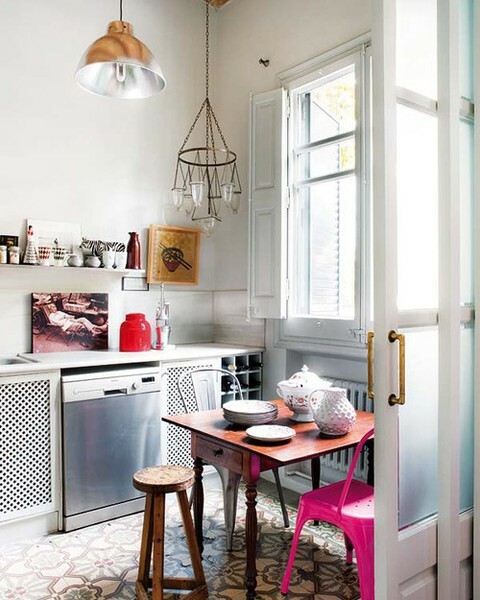 I am thinking of getting either replica Xavier Pauchard dining chairs or replica Charles Eames dining chairs in a selection of bright colours. Or, I might get some of both styles. I'll keep you posted. These images are helping me to build up the courage to purchase some new dining chairs in a selection of colours. I will probably just buy one chair at a time. The image above looks great with the grey and pink together. 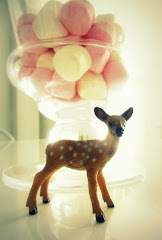 In my opinion, the use of colour with the neutral tones in the rest of the scene helps to create a sophisticated space. I like the mixture of chairs used in the image above. I think that I might try this. 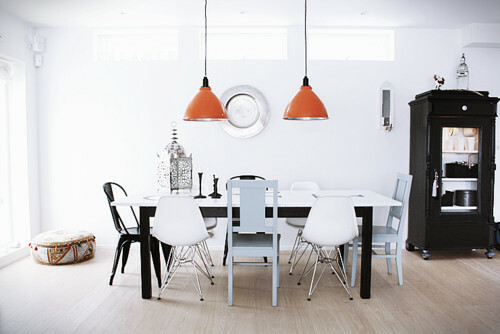 If I was ever in doubt about the use of different coloured dining chairs - all I have to do is look at this image above. Just gorgeous! 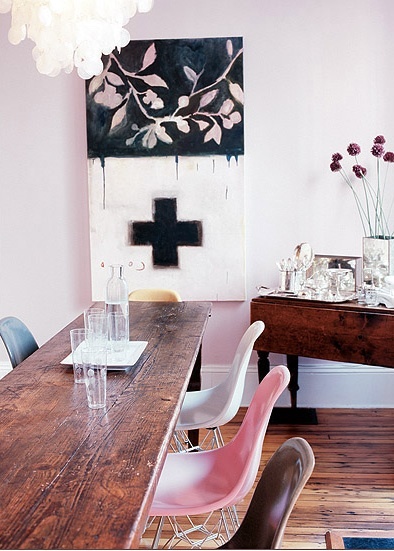 I really want the pink chair!!!!!!! I had not thought of getting a chair in black but the black chair looks great in the image above and helps to balance the overall scene. I would never had thought to use these colours together but in the image above - the colours just seem to work! Hmmmmmm. Hot pink (or maybe fuschia). Need I say more. Love it!